Atlanta’s Luxury Buyers Want Simpler Elegance, Broker Says Mansion Global caught up with Collette McDonald to discuss Atlanta’s established and. Check out this article featuring an interview with Collette McDonald, real estate agent in Atlanta, GA on how she started. This Sandy Springs Real Estate Listing Has it All This Sandy Springs real estate listing has been SOLD!!! The impeccable 5BR/7.5BA. SOLD! This Luxury 6BR/4.5BA Estate Home in Marietta This gorgeous luxury 6BR/4.5BA estate home in Marietta is SOLD! It includes a 3-car. Completely Renovated Dunwoody Home SOLD! This open and bright 4BR/2.5BA Dunwoody home is nestled on the end of a quiet. Brookhaven Homes For Sale – Townhome SOLD! SOLD! 1922 Saxon Valley Circle NE We’re experts in Brookhaven homes for sale, so we know when a RARE end. Real Estate Agent in Atlanta, GA – Collette McDonald Speaks about House Cleansing with the AJC For Collette McDonald, a.
Gorgeous condo in Brookhaven, GA ready to move in! This 1BR/1BA home features views of beautiful lush treetops & the community pool area! This. This Sandy Springs home for sale is located along a beautiful babbling brook nestled in the back of the property. The open. Immaculate 3BR/2BA Ranch Home SOLD! CLICK HERE for a hosted video tour with Collette McDonald of this immaculate 3BR/2BA rare ranch home SOLD that sits. See it here first – an exclusive preview of Collette McDonald’s segment on Coffee with America! Watch, share, like and don’t. Here are a couple behind-the-scenes shots from today’s filming in Atlanta, GA! Stay tuned for this syndicated FOX show airing at the. CLICK HERE for the full video tour hosted by Collette McDonald of this beautiful 4BR/4BA Brookhaven home with a 3-car tandem. Take a walk through this stunning 5BR/4BA Brookhaven home built in 2006 via the hosted VIDEO TOUR with Collette McDonald! This home. Take the VIDEO TOUR now hosted by Collette McDonald of this beautiful Brookhaven, GA home! It is well-appointed with an entry foyer,. Take the HD Video Tour now as Collette walks you through this spectacular 5BR/5.5BA craftsman home that is less than a.
CLICK HERE for the video tour hosted by Collette McDonald as she walks through this impeccably kept and renovated 3BR/2BA ranch home. TAKE THE VIDEO TOUR of this 3BR/2BA Ranch home that features a 2-car garage plus a large front and back yard!. This 4BR/4.5BA traditional home is nestled in the coveted Byrnwyck Community in Brookhaven features swim, tennis, playground and a clubhouse!. Great Dunwoody 2BR/1.5BA brick front townhome in Wrens Cross features a private, fenced rear courtyard and serene wooded views from the master. This beautiful 4BR/2.5BA home is located on a quiet cul-de-sac street with a 2-story entrance foyer, vaulted living room, dining. Take the HD video tour now by clicking HERE! This beautiful 5BR/4BA home is nestled on a corner lot and. February 26, 2016 “Collette McDonald of Collette McDonald & Associates was honored by RE/MAX Regional Services as one of the. Take the virtual tour by clicking HERE for this fully renovated Craftsman home in the coveted Branches neighborhood with a fully-fenced, large, private. Amazing 4BR/3.5BA ranch home with a 2-car garage on a quiet cul-de-sac street. Large, level, private, fully-fenced backyard oasis complete with a huge. Beautiful 2BR/3.5BA townhome in Brookhaven with a 2-car garage. Steps from the back deck off of the family room lead. Watch the virtual tour hosted by Collette McDonald of this beautiful and spacious 3BR/3.5BA townhome in Brookhaven home for sale!. Spacious 5BR/2.5BA 4-sided brick home with 2-car rear entry garage, parking pad and a huge level, fenced backyard that can easily fit. Beautiful end unit, top floor 2BR/2BA condominium with views of Villa Christina gardens located in Brookhaven! Features bldg fob access,. Completely renovated 1BR/1BA condominium in a gated community right across from Blackburn Park. Walk to park, shopping, restaurants and YMCA! This. Take the video tour hosted by Collette McDonald of this beautiful 3BR/2.5BA home walking distance to St. Martins, OLA &. 2016 is starting off with a bang! Check out this article posted in the AJC about these happy homeowners in the Murphey Candler. Thank you for a wonderful 2015 filled with warmth, new friends and great memories! Wishing you the best in 2016. Family enjoys proximity to Decatur restaurants, parks “Doctors Sarah Szlam and Trent Rice resettled in Georgia after living in New. Read this great review on Zillow of a Collette McDonald & Associates team member… “We worked with Susan and loved. More great reviews on Zillow from past clients! “Top notch agent with a first class team. I remained impressed with Collette. Gorgeous 5BR/4.5BA newer home on a 1/2 acre lot surrounded by wooded & totally private views via floor-to-ceiling windows –. The 2nd Annual Brookhaven Police Appreciation Luncheon is today! Last minute drop offs are welcome or if you would like. Check out this awesome review on Zillow from a past client! “Collette was fantastic to work with in listing and. Another great review on Zillow from a past client! “We were lucky enough to use Collette and her team for. Attorneys Leaving Practice to Become Realtors-We Are Lucky to Have Christina Bach Norman on Our Team! One of the hardest parts of being a professional, educated Realtor, is managing the co-op agents and. We’ve all heard about the new regulations and applications for drone usage in the commercial space. This is a great example of. 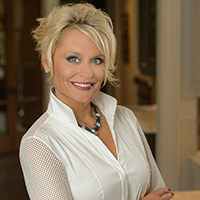 Best Dressed: Collette McDonald, RE/MAX Around Atlanta Realty – 2015 has been a very good year for Collette McDonald &. Collette McDonald of Collette McDonald & Associates with RE/MAX Around Atlanta has expanded her team to include Buyer’s Agent. “We’ve had a very productive year and so pleased to be included in such a prestigious list,” says McDonald..